It’s been six years since we moved to our place, but we still don’t have any art on the walls. It’s half because we’re lazy and half because we didn’t have anything we absolutely loved enough to commit to seeing every single day. Since I redid my home office, though, I’ve been slowly gathering some framed art to decorate it with. Yet I needed one more to complete the collage. That’s when I remembered WhiteWall. It’s an online site where you can upload photos and get them printed, mounted, and framed with a single or double passe-partout border, printed on a canvas for a more artistic feel, mounted under acrylic glass, or even printed on aluminum for a modern gallery look. I’d been meaning to order from them for some time now, but I just didn’t have a photo I felt strongly enough about to get it blown up and framed. But then I went to Morocco. And suddenly, I had a dozen photos I wanted framed. WhiteWall’s myriad of choices, from photo books to prints on aluminum. The process was so easy. You just upload the photo onto their website and start “designing” — no need to download any software. 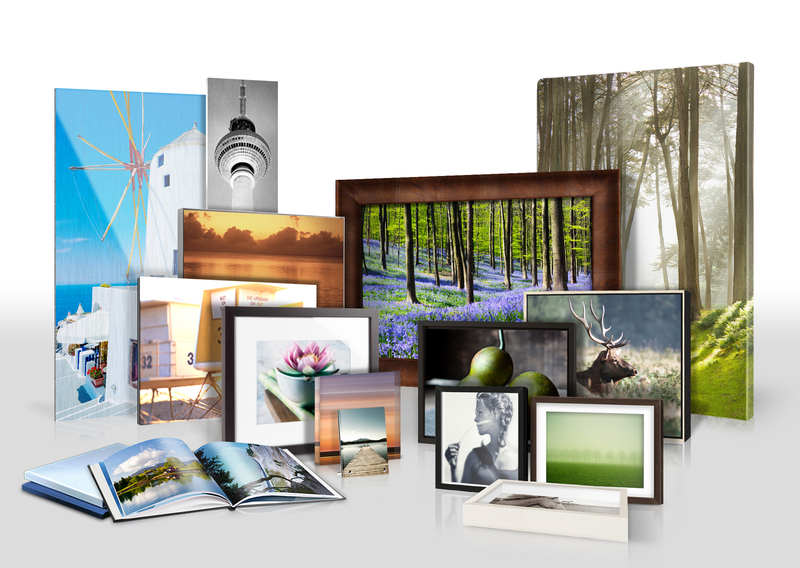 You can edit the photo, including brightness and cropping; add a border; and see how your photo looks in all different sizes, on different canvases, in different frames. They have “floater” frames, solid wood artboxes, shadow box frames. Frankly, it was a bit overwhelming because there were so many choices. But if you know exactly what you want, it’ll be a quick and easy process. WhiteWall has a high-tech, award-winning photo lab to print out gallery quality photos using nine high-end photo papers from Hahnemühle, Fujicolor, Kodak, and Ilford. (Being very much an amateur, I assume that means something to the professionals.) Their passe-partout border is made from the finest museum card stock, and their handmade frames are solid wood. As photo professionals, WhiteWall says they’re committed to making sure that photos — whether professional or amateur — are developed, printed, and finished with the greatest of care and craftsmanship. Their easy-to-navigate site is pretty much a no-brainer for even the most amateur of amateurs (like me). Once you’ve decided on the frame, just check out. 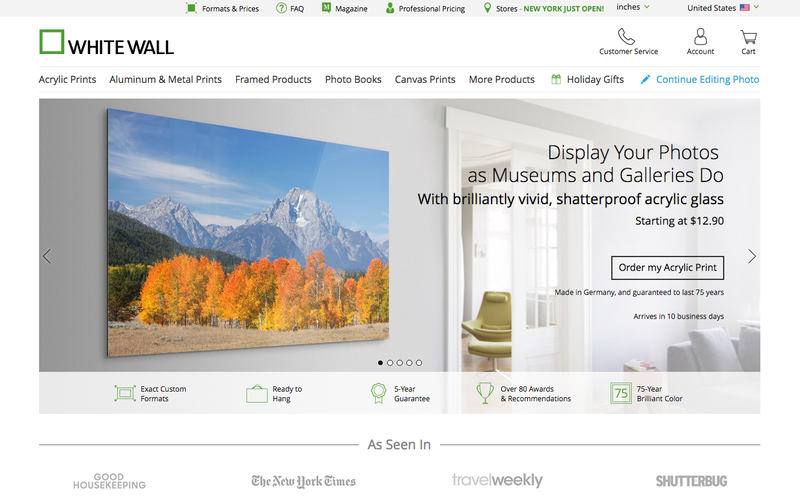 It takes less than two weeks for WhiteWall to create your framed art and ship it to you, which is impressive because they’re located in Germany. Shipping starts at $7.95 for prints and $9.95 for framed products. My shipping was $15, which is an amazing deal considering I had ordered a 17″ x 21.5″ solid wood frame for my 12″ x 16″ photo, which runs about $150. Your framed photo comes in a very well-packed wooden crate — we used a screwdriver to pull out the oversized, super thick staples. And I was thrilled with the results. I had worried whether the photo would come out blurry or washed out — it was a photo my husband had taken of me with my iPhone, after all. 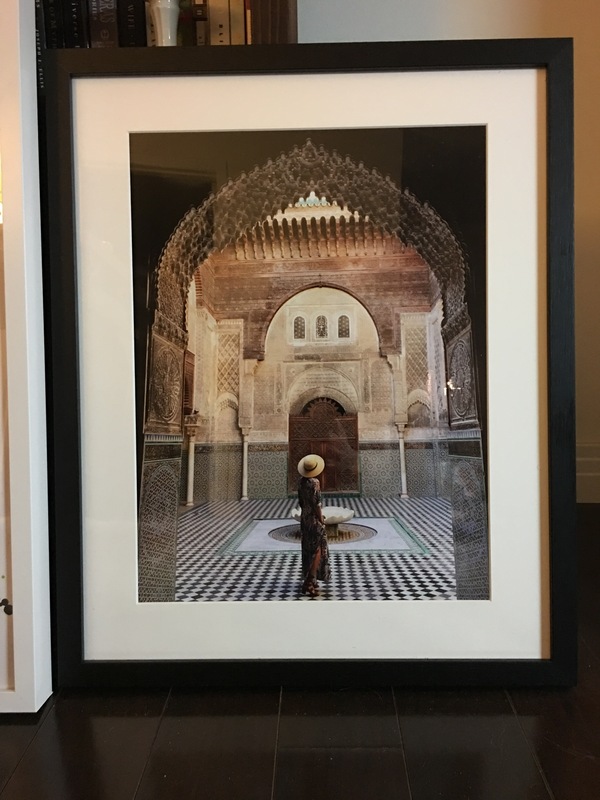 But it turned out gorgeous, ready to hang, and the perfect souvenir of our trip to Morocco. The final product. Now if only we can find the time to actually hang it! All in all, I’m really impressed with the speed and quality of WhiteWall’s service and product. I think an archival quality photo book or a favorite photo framed would make an amazing holiday gift. (And if you don’t have a photo to upload, WhiteWall has over 24,000 handpicked images to choose from, from landscapes to sports to modern art.) In fact, the mister suggested that we do this with all our trips — a framed photo to commemorate our latest excursion. Thanks so much Carmen. I was actually really happy with the result. It’s a cool shot I think and it makes a great souvenir from our trip! I’m usually lazy too! I still haven’t done anything with our wedding photos from 11 years ago!!! So true! 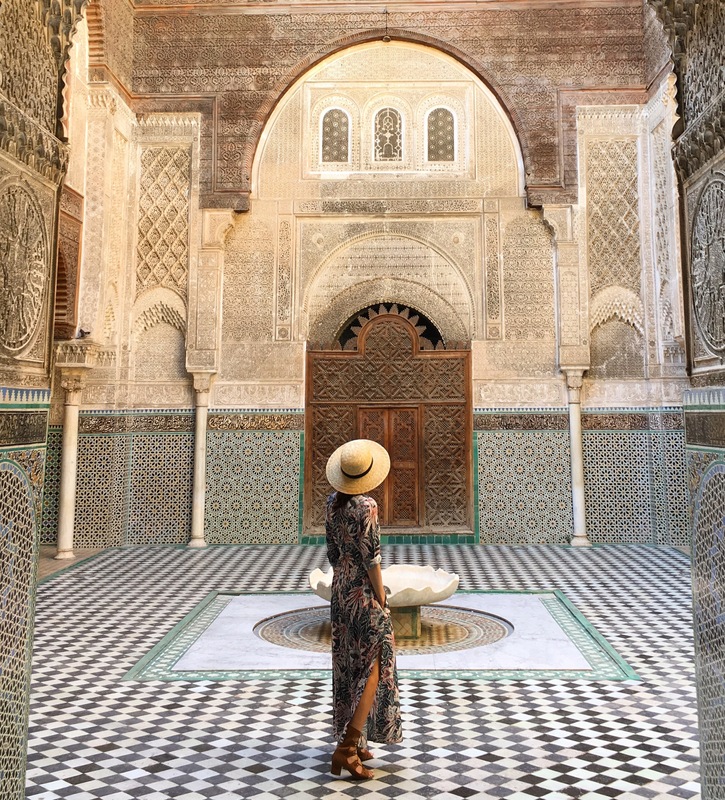 And even though I have one, I had to really talk him into taking photos of me, like, at every gorgeous corner of Morocco. LOL.